The PDE- Camera offers a mapping of the superficial lymphatic vessels and nodes. Furthermore we can prove if the lymphatic channels are still functioning. This is very important for the choice of the surgical procedure. 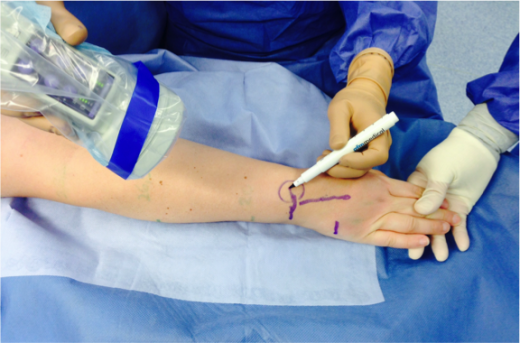 The method consists of the injection a dye, a highly fluorescent substance into the subcutaneous space. Immediately the working lymphatic channels become visible and we can get a dynamic image of the superficial lymphatic network. We use this method to evaluate the lymphatic system of the affected limb to find out, if your lymphatics are still functional or if the fibrotic alteration due to chronic lymphedema has started. Furthermore we use this diagnostic tool to find the lymphatics for the lymphovenous anastomosis (LVA) during surgery.